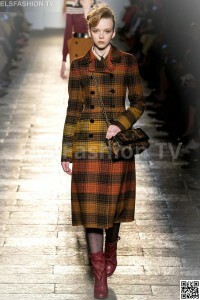 Bottega Veneta designed its collection with dominant color black, white, orange, yellow, metallics, light blue, camel, brown. 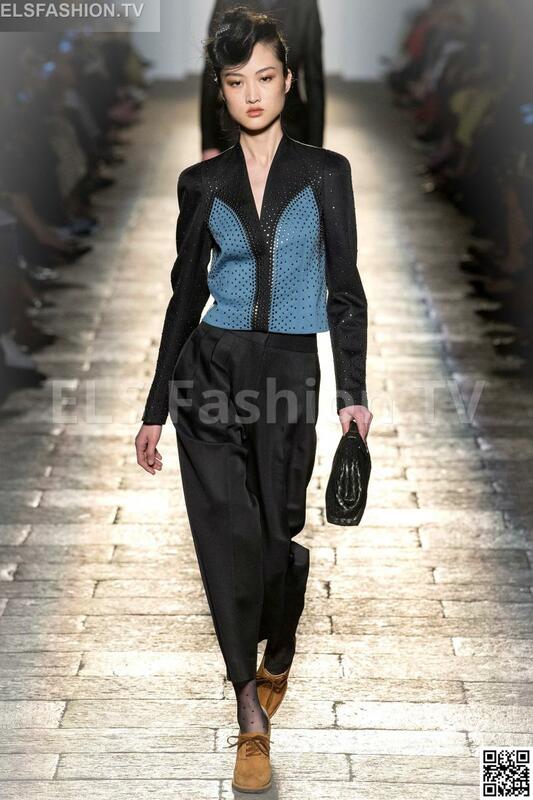 The used materials: chiffon, crystals, fur, wool, leather, velvet, lurex, cotton, cashmere, metal. Lenghts: midi. 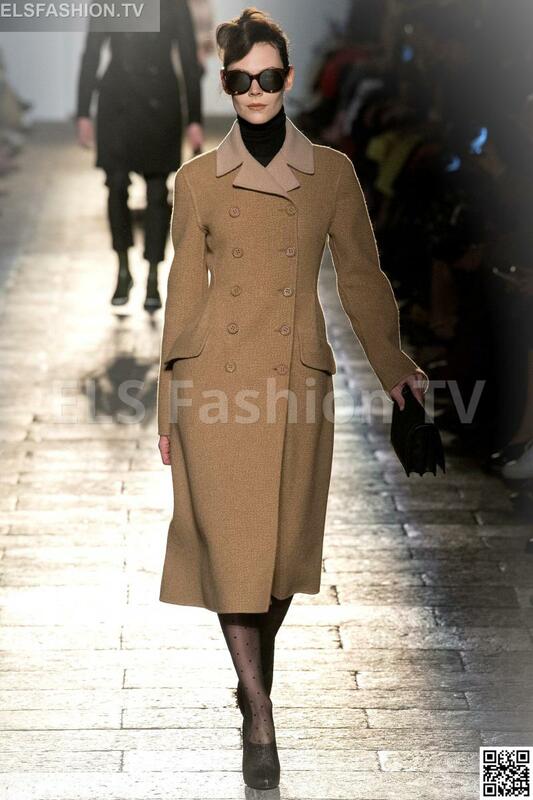 Shapes: belted sheaths and coats. Ample capes. 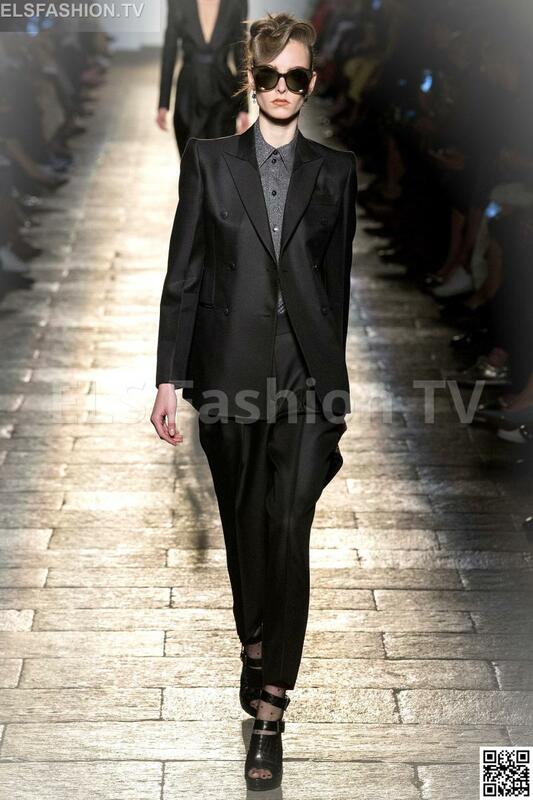 Blazers with enhanced shoulders. Little dresses with puffed sleeves. Long bustier dresses for the evening. 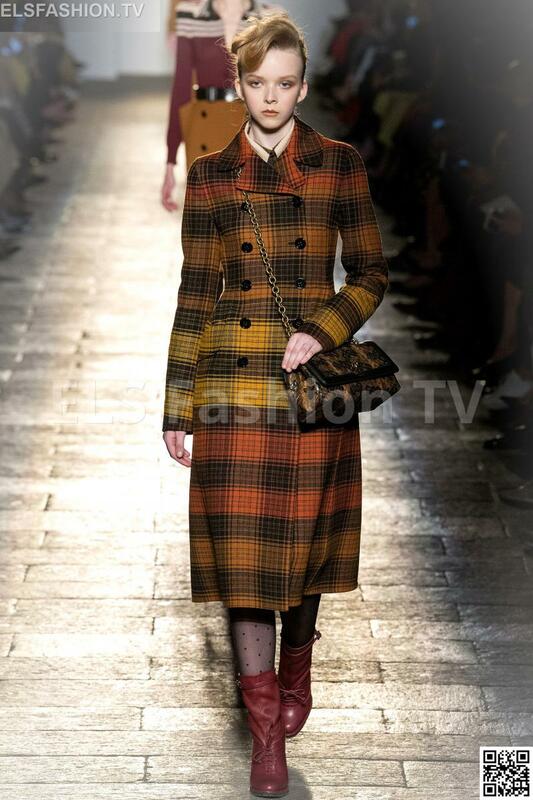 ELS Fashion TV presents the Bottega Veneta full collection. 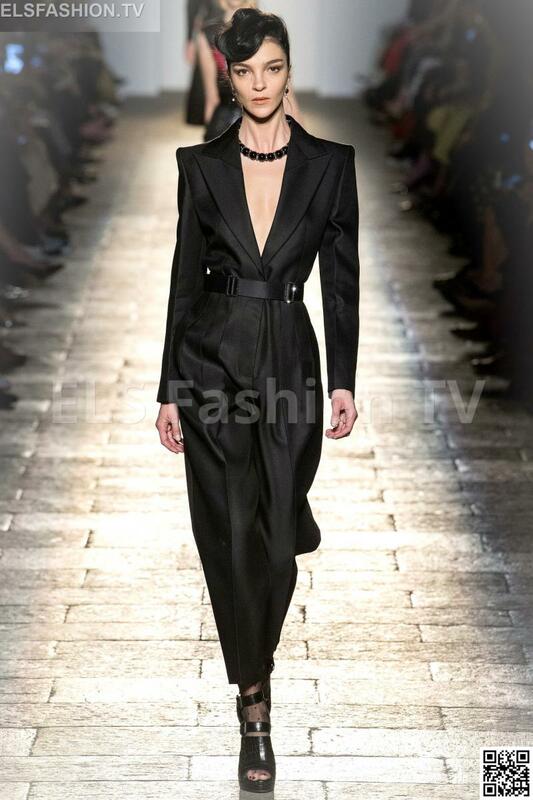 Click on any image below to enjoy the full Bottega Veneta fashion shows Collection with 40 shoots!.